Thanks to the Healthy Kids Community Challenge, we have been given the opportunity to experience gardening in a completely non-traditional way! 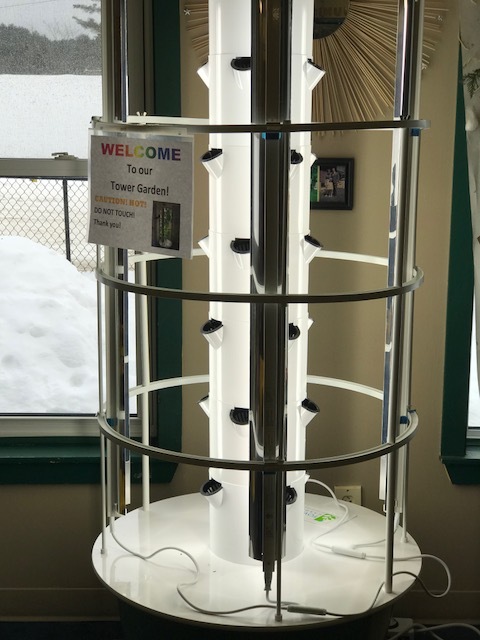 Our Tower Garden is an awesome new addition to our Resource Room! It is a year round, indoor vegetable garden that yields nourishing, sustainable food almost immediately and without soil – it sounds unreal but it is a great project that offers continuous learning for the staff and children in the centre. We will be learning how to plant, transplant, maintain and harvest the foods we grow as well as cook, eat and enjoy them too! Throughout our Tower Garden journey we will be involving our friends at the centre as much as possible, to ensure that they are learning the importance of healthy eating, working together and the process of bringing food from field (or tower in this case), to table! The Senior Room has already participated in our initial round of planting!